We have an eclectic wine list at The Jetty, carefully selected by AJ Aitken to perfectly complement Alex’s cuisine. Every wine at The Jetty has been chosen with the menu in mind. With a firm belief that the wine is as important as the food when it comes to the full Jetty experience, AJ works alongside Alex to choose grape varieties that complement and enhance the food’s flavours. Encouraging diners to experience the best wines alongside their dishes, tastes and flights of wine are offered at every possible occasion, with a number of wine lists to select from. The Jetty ‘greats and favourites’ showcases the personal recommendations of AJ and the team, with a number of affordable wines from around the world. View our wine and special wine menus including our favourite picks for your palette! There is something for everyone. We have an extensive wine list at The Jetty, so there is something to suit every palette! View our Wine List here. If you are looking for something extra special you may enjoy a wine from our special collection. View the special wine list. 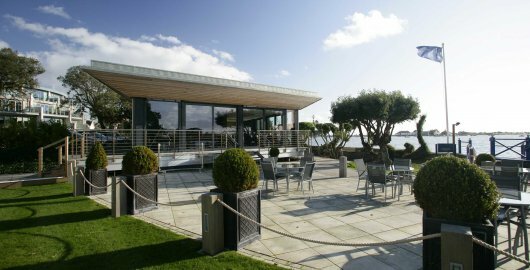 Don’t forget to view our dining menus to get a feel of the amazing food that will be accompanying your wine, in our stunning Jetty restaurant. To enquire about making a reservation at The Jetty, please call us on the number below, or enquire online and we’ll get back to you. Find out what's happening at The Jetty with our events calendar.